This Artisan High Income Fund has returned 13.78 percent over the past year, and 6.89 percent over the past three years. The fund manager is Bryan C. Krug. The annual expense fee is 1.03%. This fund is popular among investors with $2.2 billion of assets. This no load fund has a high yield of 6.03%. 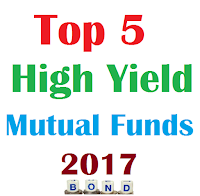 Fairholme Focused Income Fund has been one of the top 5 high yield bond mutual funds for a while. This best mutual fund has a high yield of 5.06%. This no load fund has a small net assets of $258 million. Morningstar has ranked this bond fund with 5 stars rating. You can invest in this fund with $10,000 of initial investment. As best high yield bond mutual fund for 2017, this fund has returned 22.31 percent over the past year, and 9.80 percent over the past five years. 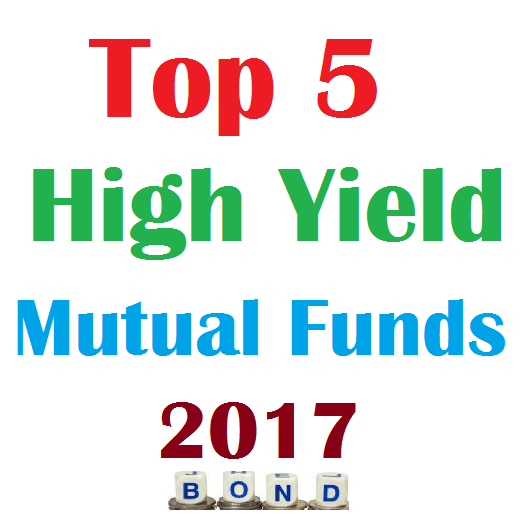 As one of the top 5 high yield bond mutual funds for 2017, Fidelity Capital & Income Fund is managed by Mark Notkin since 2003. This mutual fund is not your typical high yield bond fund. It also invests in stocks or equities. This bond fund has $11.1 billion of assets. The current yield is 4.03%. Its expense fee is 0.74% per year. Morningstar also ranks this best bond fund with 5 stars rating. In 2016, it has total return of 10.75%. This fixed income fund has returned 5.62% over the past 3 years, and 7.60% over the past 5 years.